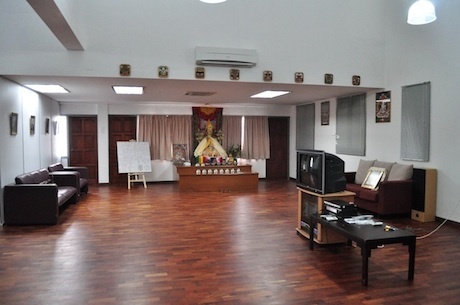 Located 176km north of Kuala Lumpur in Malaysia’s former tin-mining centre, Ipoh has become home to another of Kechara House’s study groups. Led by Wan Wai Meng, the Ipoh study group make use of net meetings to enable real-time participation in the Lamrim classes held at Kechara House itself. Their dedication led them to open their home to other students, to provide a venue for discussions and meetings. For a while, this proved to be a suitable arrangement until the expanding group of members necessitated the search for larger premises. 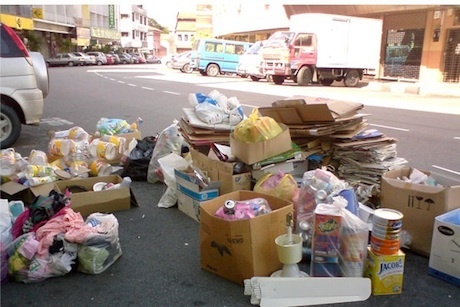 The conditions arose in the form of Mr. Thomas Chong, who kindly offered a two-lot office block space on the Second Floor of Wisma Tan Sri Chong Kok Lim at the heart of Ipoh town centre along Jalan Che Tak, in order that our Ipoh cell group has a convenient place to meet and conduct prayers and meetings. Thomas is the youngest son of Tan Sri Chong Kok Lim who was one of Ipoh’s most well known property tycoons and knows very well the benefits of sponsoring a Dharma cause. 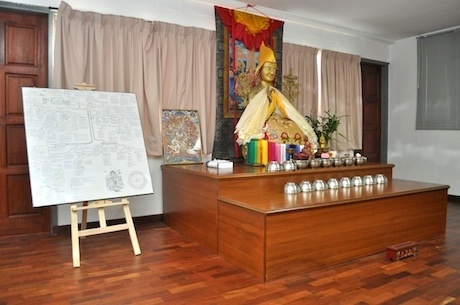 On 26 July 2009, the premises were officially opened with the arrival of a 4ft Lama Tsongkhapa statue. 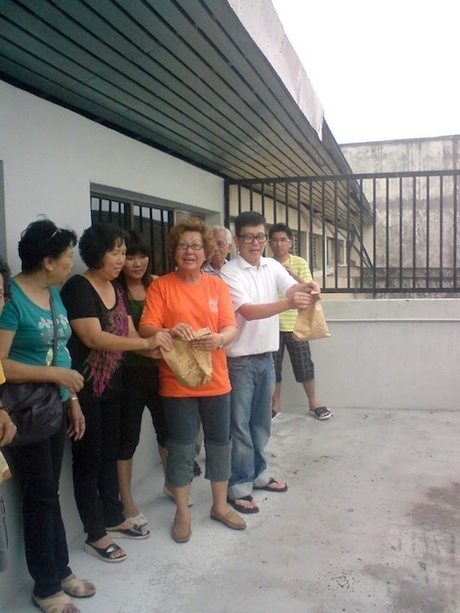 Members of Kechara House drove up to Ipoh to lend their support and help to celebrate the auspicious occasion. One of the many study group activities, animal liberation! 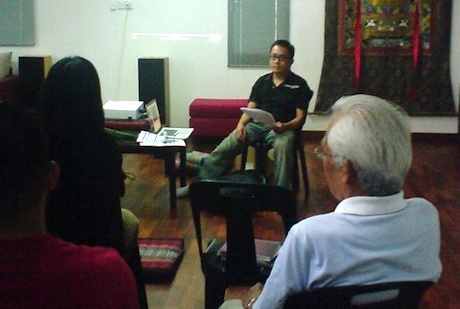 On 23 August 2009, the Ipoh study group had their inaugural fortnightly Lamrim session in the premises. It was led by Wan Wai Meng, who had driven up from KL for the occasion. Other Kechara House members and those from the Education Committee continue to support and teach the study group the KH pujas. The Ipoh Study Group continues to meet regularly for Lamrim classes and talks, and is well supported by the mother centre in Kuala Lumpur. They have recently added a recycling drive to their portfolio of activities. 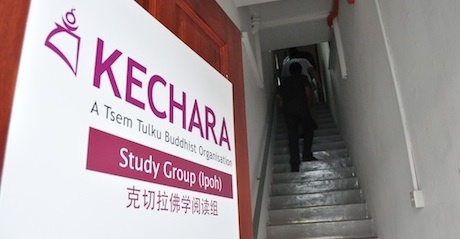 It is our hope that the present study group will continue to grow and eventually the premise can become a branch centre of Kechara House which will bring many benefits to the people of Ipoh and nearby Taiping. Perhaps Ipoh will, in addition to being famous for its Ipoh Chicken Rice, White Coffee and Char Kuey Teow, become a place where the people in the Northern states congregate to seek refuge and protection with Lama Tsongkhapa. Undeniably, our Spiritual Guide H. E. Tsem Rinpoche, continues to touch and change the lives of many people far and near. For enquiries about the Ipoh Study Group, please contact Wan Wai Meng at waimeng.wan@kechara.com. For enquiries about study groups in general, please contact our team at care@kechara.com.